The FDA Tobacco Products Scientific Advisory Committee (TPSAC) on January 25 unanimously endorsed a claim by Philip Morris International that switching completely from cigarettes to its heat-not-burn IQOS system significantly reduces smokers’ exposure to harmful and potentially harmful chemicals (here). The committee, however, denied two other claims, that switchers “can reduce the risks of tobacco-related diseases” (8 against, 1 abstention) and that switching “presents less risk of harm” than continued smoking (5-4 against). 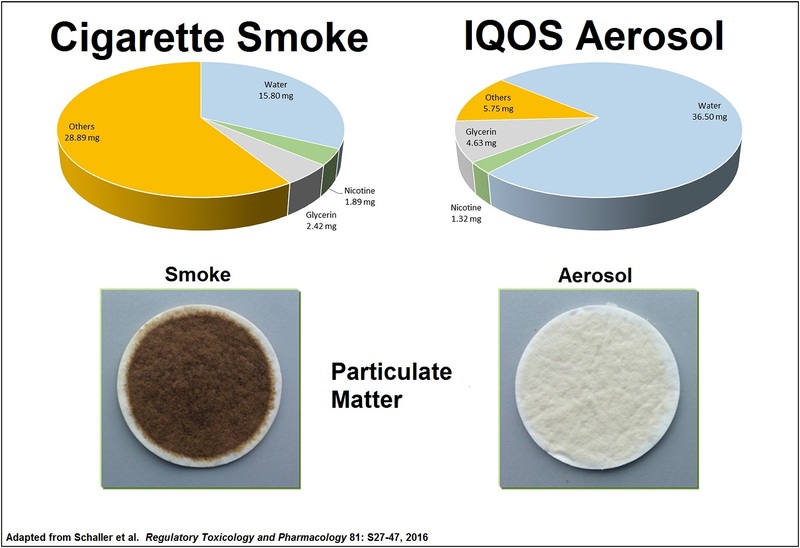 PMI published numerous short-term studies documenting that toxicant levels from IQOS aerosols were substantially lower than those in smoke, and demonstrating the biologic and medical impact of these differences in cells, animals and humans. The committee’s denial of the diseases claim was understandable: risks manifest after three or four decades of steady smoke exposure, so risk reduction from switching to IQOS “can” occur over longer time periods. However, TPSAC’s close vote rejecting the reduced harm claim is problematic. In 2012, the FDA published a list of 93 Harmful and Potentially Harmful Constituents (HPHC) in Tobacco Products and Tobacco Smoke (here and here). The agency declared that the HPHCs variously posed health hazards as carcinogens, respiratory toxicants, cardiovascular toxicants, reproductive or developmental toxicants, and/or addictive agents. The agency provided no guidance for the levels of exposure that constitute harm. This is important, as seen in the case of formaldehyde, a weak carcinogen to which nearly everyone is exposed, but smokers significantly more so (discussed here). TPSAC rejected impressive evidence of HPHCs reduction in IQOS vapor. I collected the following information from Appendix C of the FDA Briefing Materials (available here), which standardized toxins in IQOS aerosol and smoke according to nicotine intake. On average, the reduction in the level of all potential and proven carcinogens (n=29) in IQOS aerosol was 90%. For the most important carcinogens (n=9), the reduction was 96%. Average reductions in respiratory (n=18) and cardiovascular (n=8) toxicants were 91% and 93% respectively. The reductions for all of these individual agents are illustrated in the charts that follow. The substantial reductions in all tested HPHCs support the claim that switching completely to IQOS “presents less risk of harm” than continuing to smoke. There is adequate justification for the FDA to set aside TPSAC’s narrow 5-4 rejection of this claim. The two-day hearing raised no significant roadblocks to FDA market authorization for IQOS, which would allow U.S. sales. Given the significant relative health benefits of this smoke-free product, market authorization is the appropriate action.